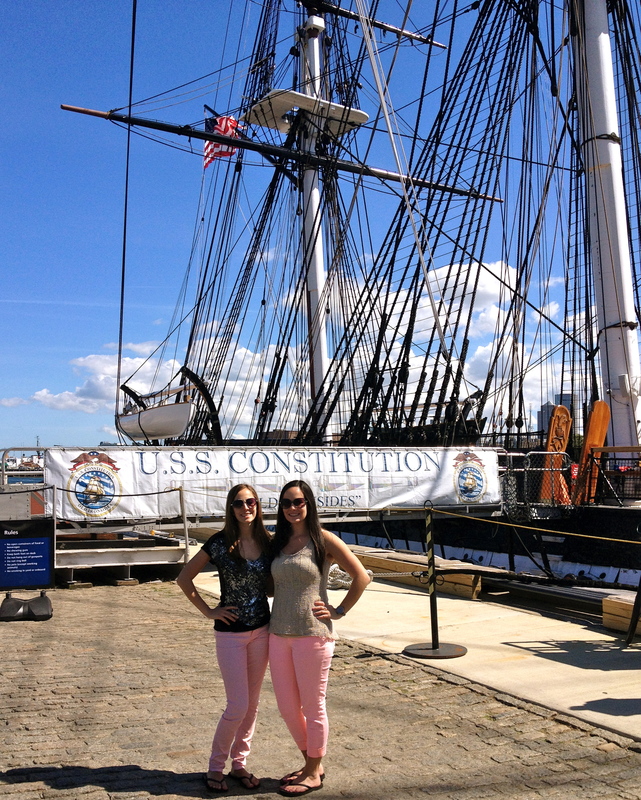 On May 7th we started off the day with a trip to Salem, Massachusetts. Our first stop once we were in Salem was the Witch Dungeon Museum, where we were able to see a live reenactment of the Witch Trial held in Salem in 1692. It was very interesting to hear about how the Witch Trials got started, and how misunderstandings and stereotypes can be blown out of proportion and lead to very negative consequences. We were also able to see what kinds of living situations the accused would have had to endure inside the dungeon. Our next stop in Salem was the Jonathan Corwin House, also known as The Witch House. Jonathan Corwin was a judge during the time of the Salem Witch Trials and was called to investigate the accused, who would typically come to his home to explain what was happening to them. 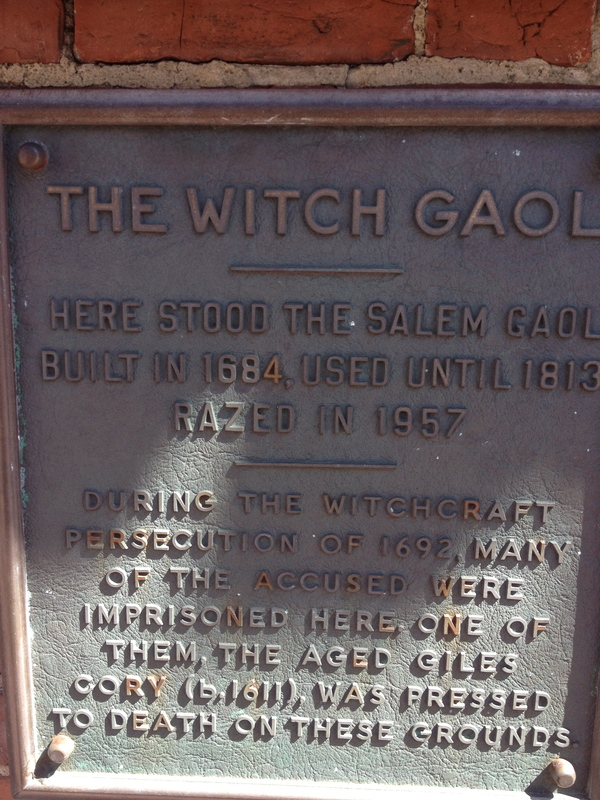 This house is the only structure in Salem that is still standing with direct ties to the Witchcraft Trials. Our final stop was at the Bewitched statue! Then we got a quick lunch, said our goodbyes to the cute little town of Salem, and headed back to Boston to do even more sightseeing on the most beautiful day of our trip. Upon returning to Boston, our first stop was the Bunker Hill Monument. The monument was dedicated in 1843 as a major national ceremony to remember “The Battle of Bunker Hill,” the first major battle of the American Revolution. Although the colonists did not win the battle, they put up a great fight against the British showing that the colonists were very strong and capable of more than the British may have thought. After climbing up 294 steps, we were rewarded with a breathtaking view from the top of Bunker Hill Monument. The beautiful day together with the significance of the landmark made this monument even more meaningful to visit. Next we followed the Freedom Trail over to the USS Constitution, which is the oldest commissioned war ship afloat in the world. It was very impressive to be able to be able to tour this ship that has long protected America throughout its history. The ship received the nickname “Old Ironsides” after the War of 1812 when the USS Constitution defeated many British ships that repeatedly fired at her sides. Even though the ship is not actually made of iron, you can see in the picture above how thick the ships walls were. Afterwards, we headed back where we soaked up some sun on the roof of our hotel. Soon, we went out to the North End to get yet another delicious Italian meal, this time at Strega. After dinner we spent the rest of the night walking around and exploring the North End. In the summer months, there are different Italian and religious festivals almost every weekend in the North End. The picture below shows an alleyway filled with framed portraits of saints that was created by a man named Peter Baldassari who has a passion for saints. We passed Sacred Heart Church, and also St. Leonard, which was founded in 1873 and was the first Roman Catholic church in New England built by Italian Immigrants. We wrapped up this long day with another stop at Mike’s Pastry for dessert and more walking around the North End. My next and final post about Boston will include lots of delicious eats and treats and of course plenty of time spent in the North End. You really packed it in! Good for you. Yes we did, and it sure was worth it!